Viknesh Vijayenthiran November 10, 2016 Comment Now! 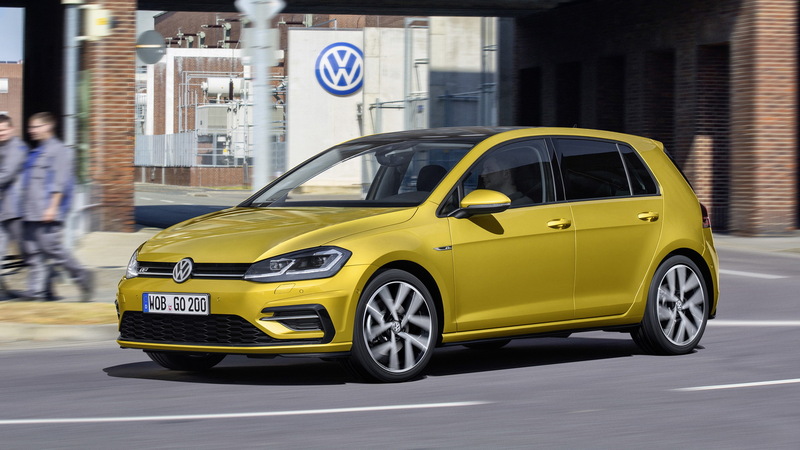 Volkswagen’s taking its humble Golf down the high-tech road by introducing some advanced features not normally found in the compact class. 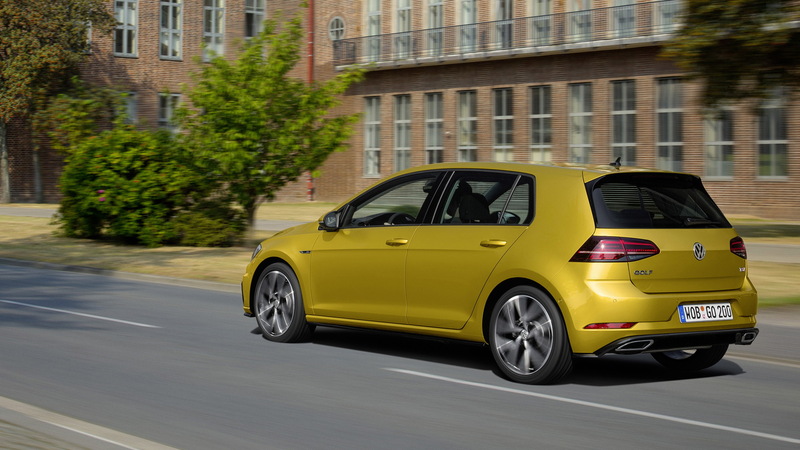 The features are part of a mid-cycle update for the seventh-generation Golf and will be available during 2017. 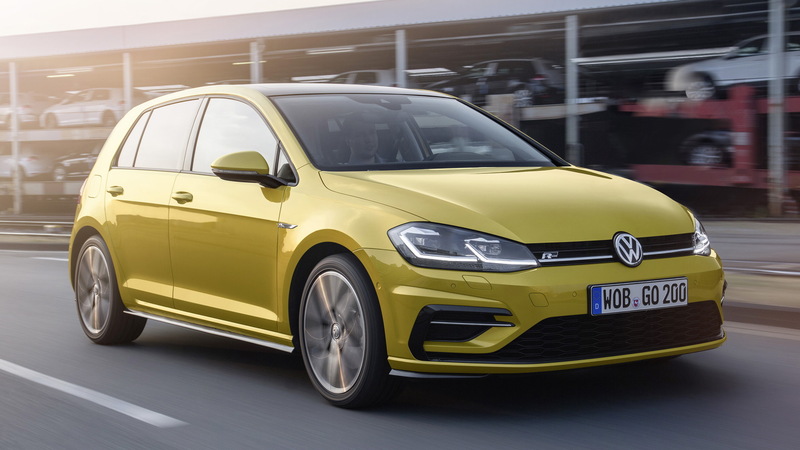 Specifications for the United States are yet to be confirmed but in other markets the Golf is benefiting from tweaks to the styling, new engines and transmissions, electronic driving aids and the latest infotainment technology. The only changes made to the exterior design are the new bumpers, and LED headlights in place of the previous xenon units. 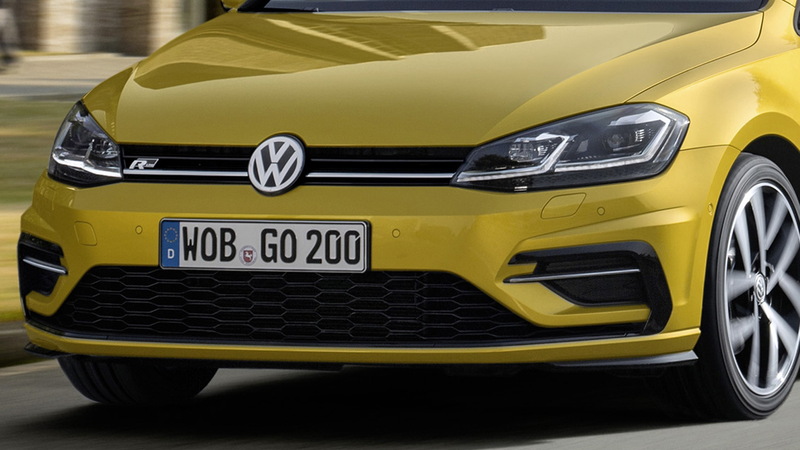 In particular, the sporty GTI and Golf R variants get some extra details around their fog lights and larger openings in their front bumpers. The base engine in the Golf is a new turbocharged 1.5-liter inline-4 with 148 horsepower and cylinder deactivation. VW has also announced a new 7-speed dual-clutch transmission. 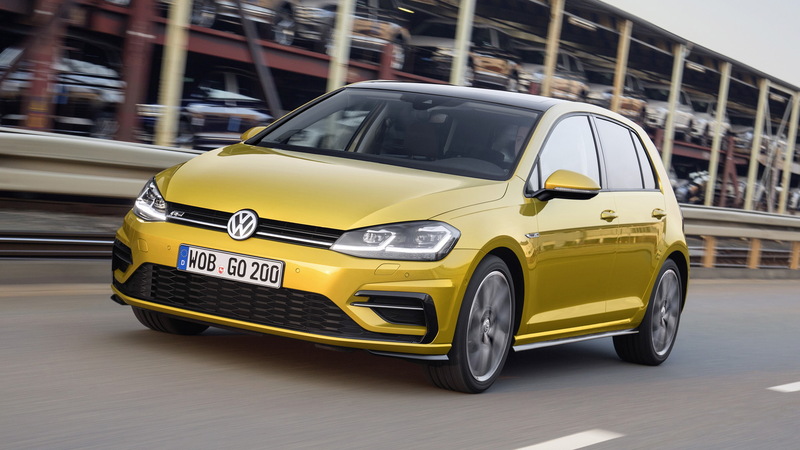 The automaker says the new unit, which will help reduce fuel consumption, will gradually replace the aging 6-speed unit used in the Golf and several other Volkswagen Group models. Of more interest to performance fans is the increase in power for the GTI. The standard GTI gets 227 hp while a GTI Performance model gets 242 hp. In the U.S., the GTI currently has 210 hp, and 220 hp with an available Performance Package. We also know that the electric e-Golf will get a bigger battery for improved range. Meanwhile, the most potent model in the range will remain the Golf R, which should keep its 292-hp rating. Sadly, the more extreme version previewed by 2014’s Golf R 400 concept is no longer planned. The project, including the planned 395-hp turbocharged 2.0-liter inline-4, has been shelved due to cost cutting following the diesel emissions scandal. In the area of in-car tech, there are two main areas in which the updated Golf excels. The first is the new infotainment system, which VW describes as a next-generation system. The base setup relies on a 6.5-inch touchscreen display in the center stack. Above this is an 8.0-in display and further still is a 9.2-in display. The latter will feature a gesture control in addition to proximity sensors. Gesture control can be used in various different menus. All it takes is a swipe gesture to move the horizontally arranged menu items left or right, allowing the driver to quickly move through menu pages. Successful swipes are also confirmed by a sound effect, which the driver has the option of switching off. A digital instrument cluster will also be available. The other area where the updated Golf excels is electronic driver aids. The list includes automatic emergency braking with pedestrian detection, traffic jam assist, park assist, and even trailer assist. The latter aids the driver when backing a trailer. All the possible driving angles are displayed on the instrument cluster and with the help of the mirror adjustment switch, which serves as a sort of joystick, the driver can freely adjust the desired driving direction. The car takes over the steering, with the driver only required to operate the accelerator and brake pedals. A reminder that these specifications are for the Golf sold outside the U.S. We should get all the U.S. specs closer to next year's market launch.